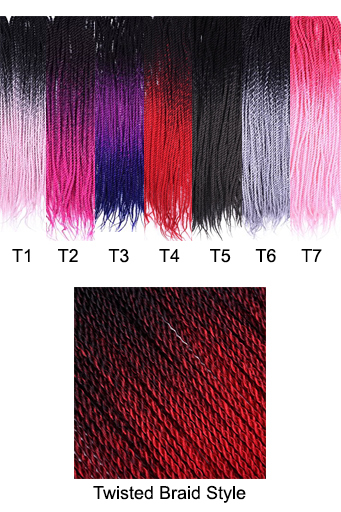 Please read this before selecting hair. Silky and Wavy hair is easy to maintain and keep nice. If hair gets tangled you can use wig spray found here or use baby detangler spray to make it look like new instantly with a simple combing. 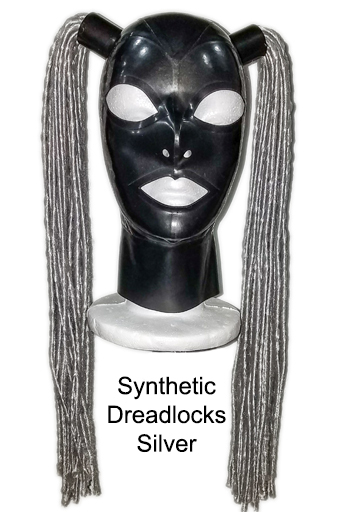 Dreads, Twist Braids, Micro-Braids and Hair you select to be braided by us are easy to maintain with almost no upkeep. After prolonged use, you may need to re-braid the hair to make it look neat and get rid of any stray hairs that have come loose. You can find a guide here. 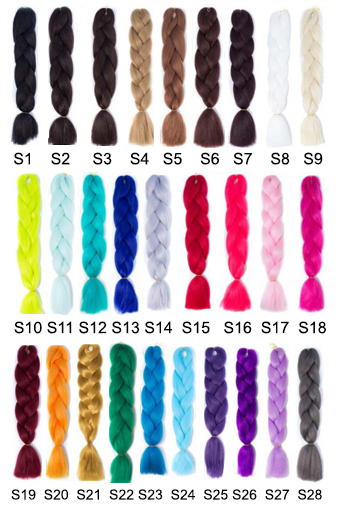 Small rubber bands can be found at any beauty supply store or section of major stores. 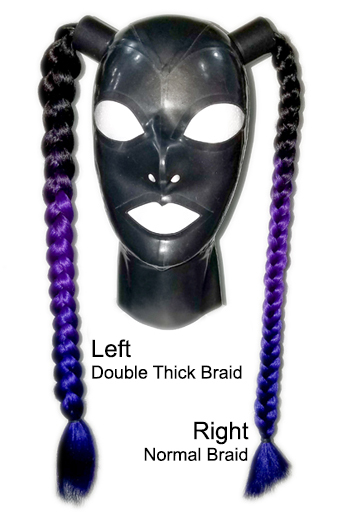 You can also use wig spray here to make stray strands less visible without re-braiding. 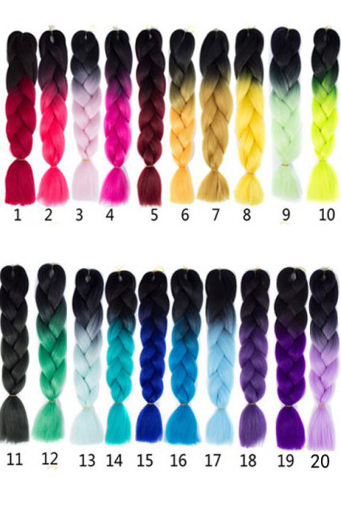 Solid Hair (#S1-S28) and Ombre Hair (#1-60) are a bit more maintenance when left straight. 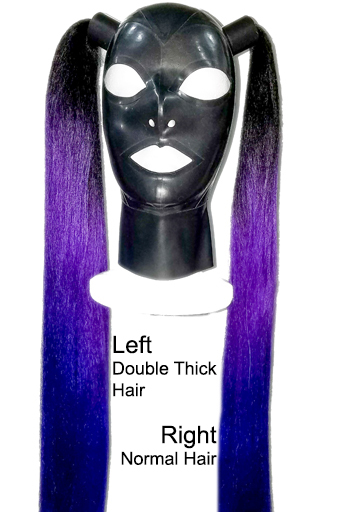 The hair is made of kanekalon synthetic hair and can tangle very easy if you do not use an ample amount of wig spray each time you use it. Find wig spray here or you can find it at any beauty supply store. 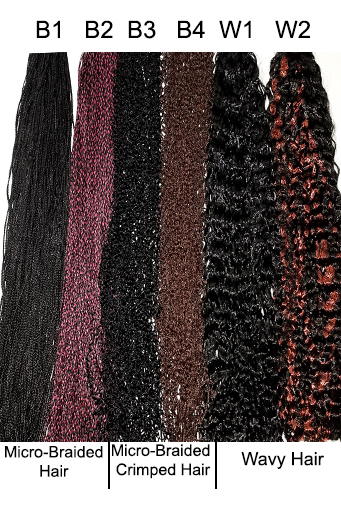 If you have an issue finding it, you can use baby detangler but it does not last as long. 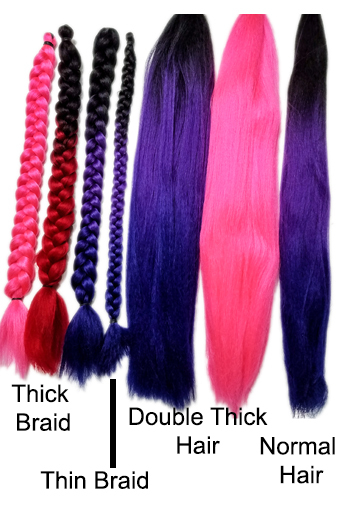 For Solid and Ombre, the normal thickness is recommended, and the double thick is even harder to maintain un-braided. If you get double thick, you must ensure you get all the hair with the wig spray as areas without spray will tangle very quickly. 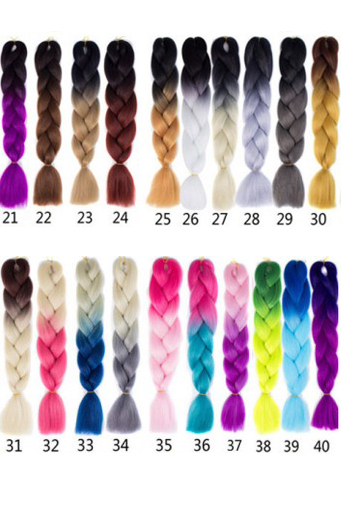 We can use any hair that has a loop (folds over like in photos) if you wish to search for your own unique hair on amazon.com (ensure USA version) or send in your own hair if you find something from another source. Hair must be double the length you desire before folding over. 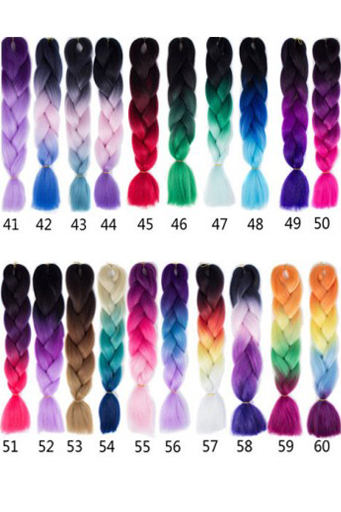 Ex, the ombre hair is 48 inches long, but only 24 when folded over into a loop. The fold is what allows us to attach a magnet or attach it to the inside of a tube. Hair can be changed or replaced. 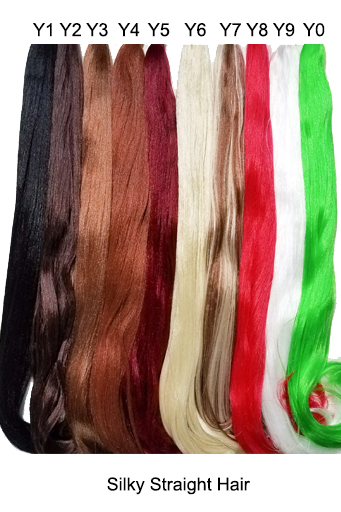 For built-in hair, you can send your hood in to have new hair added for $8 per tube for Silky, Wavy, Micro-Braids, and Solid/Ombre normal thickness. 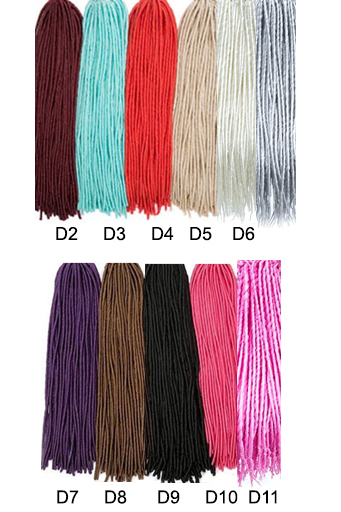 $16 for Dreads, Twist Braids, and Solid/Ombre double thickness. For magnetic hair, if you save the magnet you can send it in for a replacement for the same prices. We are working on a version of magnetic hair so you can easily move the magnet to any hair for affordable quick options at home.